When shopping for fresh groceries, how do you pick the ones to bring home? Logically, we’ll pick the ones that look ‘perfect’. The apple with the shiniest skin, the packet of chye sim with the greenest leaves, or the rib eye steak that looks rosiest. And it’s not difficult to figure out why we gravitate towards these ideals. Since we were kids, we’ve been given ideas on how food ‘should’ look during our masak-masak play sessions. Our mothers have also taught us, all the while, that anything with flaws should be avoided. While there’s definitely much wisdom in avoiding hole-ridden, discoloured items (that obviously look rotten), there are many times when we reject items which are just partially damaged, or simply not so pretty on the outside. This unhealthy focus on the superficial aspects of produce has had some serious implications. 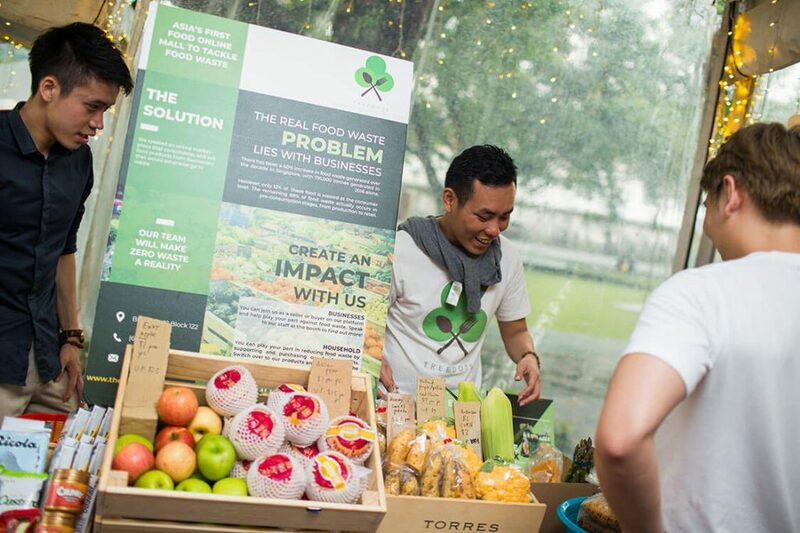 In 2016 alone, the National Environment Agency reported 791,000 tonnes of food waste in Singapore – with one of the largest contributors (locally and globally) being the supermarket industry. 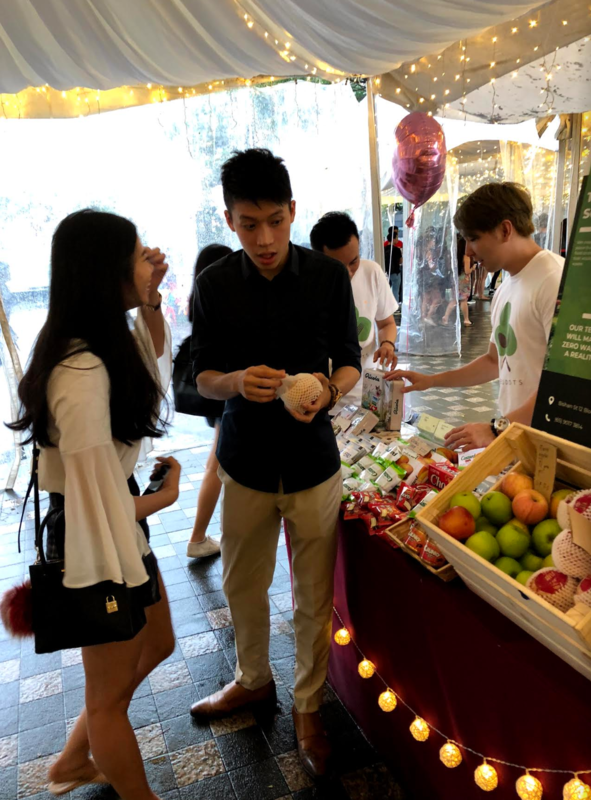 While it was also reported that NTUC FairPrice ‘saved’ 250,000kg of food from being wasted between 2015 to 2016, straight-up rejection of ‘ugly’ food is still a pertinent issue. According to reports, an estimated 20% of produce in farms are rejected purely for cosmetic reasons – and this is even before the 2nd round of ‘screening’ by supermarkets. 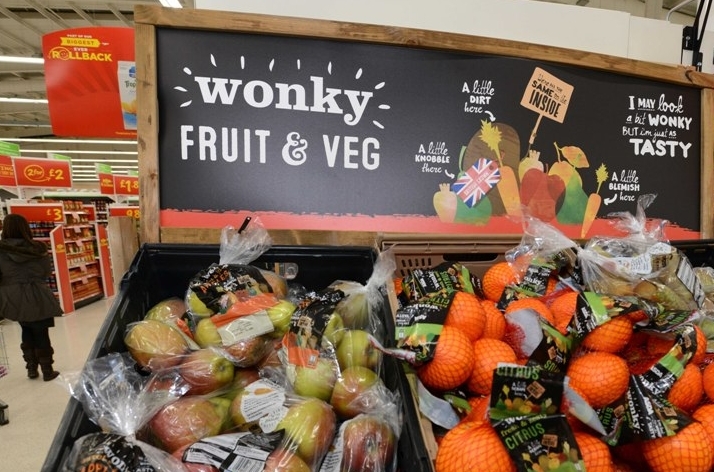 This has led to the rise of initiatives (more significantly in Europe and the US) to encourage supermarkets and shoppers to look beyond the superficial and realise that these ‘ugly’ items are essentially the same as their better-looking counterparts. 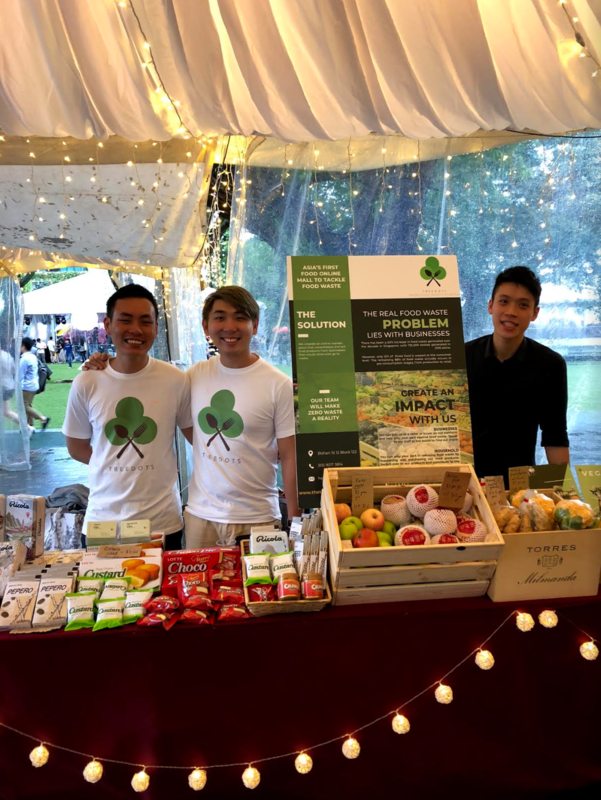 Jiacai Lau, who studied in Germany for half a year, was intrigued by these ‘green initiatives’ in Europe, and was struck by “how amazing [they] were” in terms of tackling food waste. 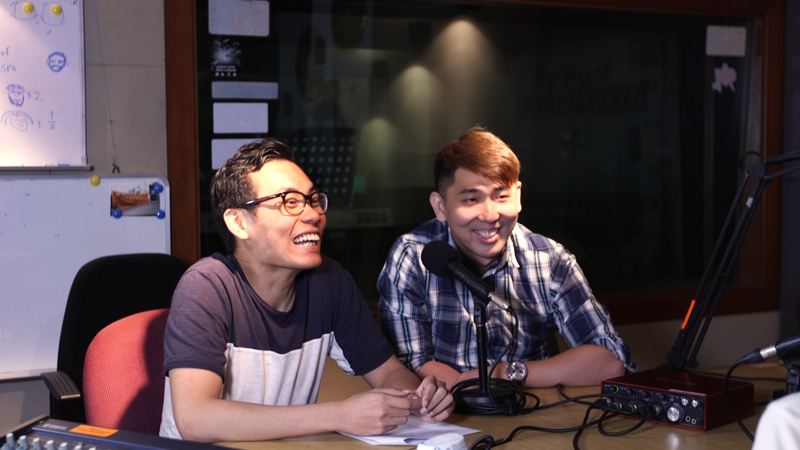 His friend since secondary school, Nicholas Lim, who was travelling around Europe, also noticed this emerging trend. By a stroke of fate, their mutual friend Tylor Jong, was also experiencing firsthand the wastage of food while volunteering to pack food for needy families. “He noticed that many of these food products that are supposedly ‘to be thrown away’ are still in fine condition. Some are not expiring products, but just had some damages to the packaging, and others are just perfectly fine,” shared Jiacai. 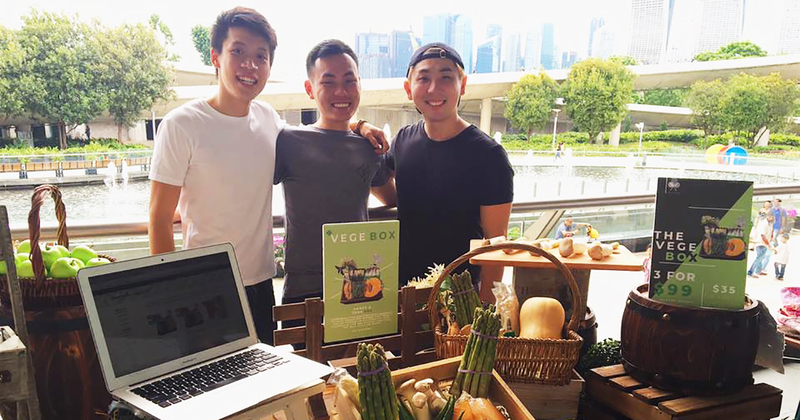 So from a “rowdy group” that bonded over block-catching and hanging out at malls after school, they reunited over a common wish – to reduce food waste in Singapore, one ‘ugly’ food at a time. 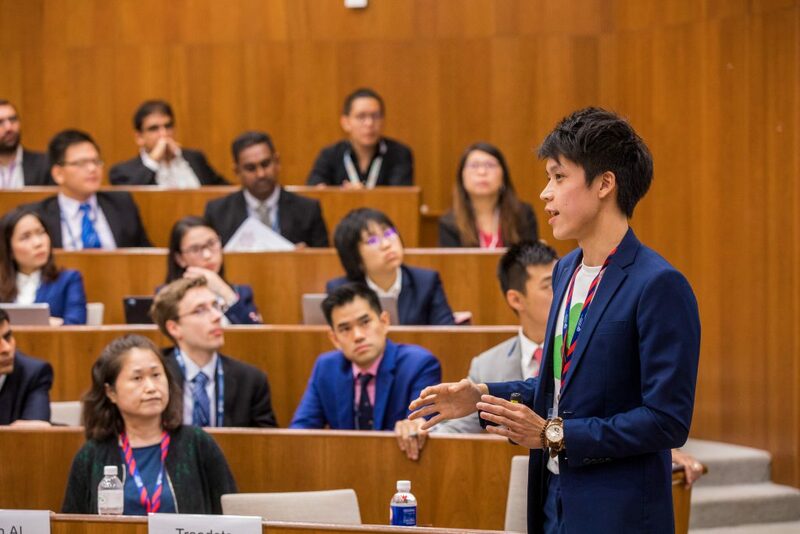 A classic tale of ‘quitting a cushy job to start up’, Jiacai was an auditor at PricewaterhouseCoopers (PwC) before he left last December to pursue TreeDots full-time. As much as the job at PwC was rewarding, challenging, and yet comfortable, deep down I wanted to challenge the status quo and do something that others won’t normally attempt. “When we stumbled on TreeDots, we knew that this will [be more] rewarding and impactful than what any corporate job can offer,” he said. His 2 other partners, Nicholas and Tylor, also gave up promising careers in finance for the risky waters of startup life. Both have equally impressive portfolios – Nicholas worked at Philip Morris, IMC, and UBS in procurement, treasury and compliance; while Tylor was focused on investment banking and management consulting at Oliver Wyman and KPMG. While TreeDots was officially incorporated in August last year, it was only in January this year that they started to have “proper sales”, as getting vendors and customers to come on board proved to be more difficult than expected. “It didn’t help that all 3 of us only had backgrounds in the finance industry and not in F&B, so it took us some time to understand the norms and the lingo,” sighed Jiacai. As most of their goods come from companies run by older, more traditional vendors who are “not open to new and innovative ideas”, just clinching their supply was already a challenge. It was very difficult to drive 2 points across. First, the idea of selling and buying products that people normally throw away. Next, [that this is] a tech platform. Jiacai recalled that out of every 30 vendors they spoke to during their door-to-door promotions, only 1 would be willing to check TreeDots out after. Through word-of-mouth and networking, they also managed to get in contact with more well-known companies, which “helped in boosting [their] credibility”. 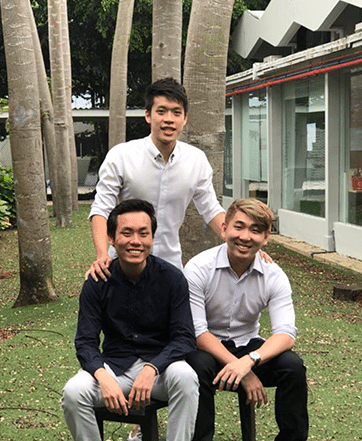 Completely bootstrapped from the start, Jiacai shared that they are fortunate to be incubated at Singapore Management University (SMU) and having been offered the SGFounder grant. 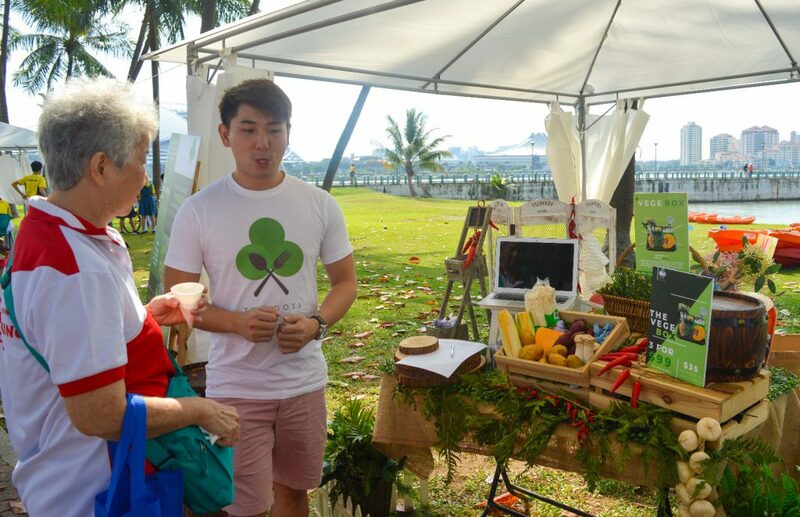 While TreeDots got more public attention from the release of Vege Box, a box of seasonal greens catered to individuals who don’t mind ‘less perfect’ veggies for a much cheaper price, the startup initially targeted the B2B market, helping wholesalers and importers clear off excess stock by selling them to F&B players like caterers, restaurants, and cafes. Then, they dabbled with the idea of opening up their business to consumers as well. “[However] the feedback was that household consumers are not able to purchase food products in such quantities, so we decide to hold off the B2C idea,” shared Jiacai. After a feature on TODAY, however, they received “a couple of cold calls from the public” who told the team that they didn’t mind purchasing the items in larger quantities, as the excess can be shared with family and friends. Many of our customers are actually quite shocked by the ‘ugliness’ (of the veggies) and asked why are the products so perfect! “Consumers believe that products to be thrown away are food that are badly defected, but in actual fact, this is far from the truth,” explained Jiacai. Jiacai feels that there is definitely still a need for “more education” to help consumers understand food waste and accept ‘ugly’ groceries. At the moment, products nearing their expiry dates can be bought at 70-80% discounts, and overstocked or overproduced item discounts are around 30-50%. “These (overstocked) items are still perfectly fine – no defects at all! But if kept for long, they might still be dumped as they have to make space for a new batch of goods when they arrive,” admitted Jiacai. Currently, they have around 180 business partners that obtain discounted groceries from around 30 suppliers. At the moment, TreeDots’ offerings are still relatively limited, but Jiacai shares that this is just the beginning. In the short term, I would foresee more fruits, meat, and seafood products coming on board. 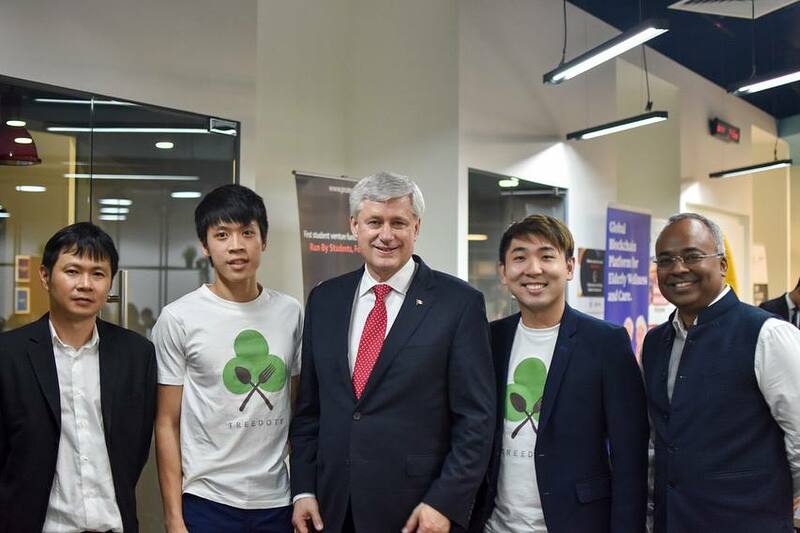 The TreeDots team is also looking to expand into other Asian countries, with Vietnam and Indonesia as their first pitstops. Other than overseas expansion, Jiacai shared that they’re “definitely” looking to cover the “entire product spectrum – not only in F&B, but across other wastes as well, such as fabric waste”. Check out TreeDots’ offerings here!